Both Mark LaClair and his wife Tanya grew up in Rowayton. He started sailing at age 8. They water skied, camped and played on Sheffield Island, fished, lobstered, and drove their boats as far as they were allowed. They got married, and vacationed by chartering sailboats with friends. The couple tried living in Weston and New Canaan. But, he laughs, those towns were too far from the water. They asked their landlord to eventually sell to them, but he was reluctant. So the couple — he’s a builder, she’s in real estate — decided to throw most of their savings into buying a boat. They planned to spend 2 years sailing around the world. Five months after their purchase — while preparing for their great adventures — their landlord said he would sell the house to them, after all. Mark and Tanya changed course. 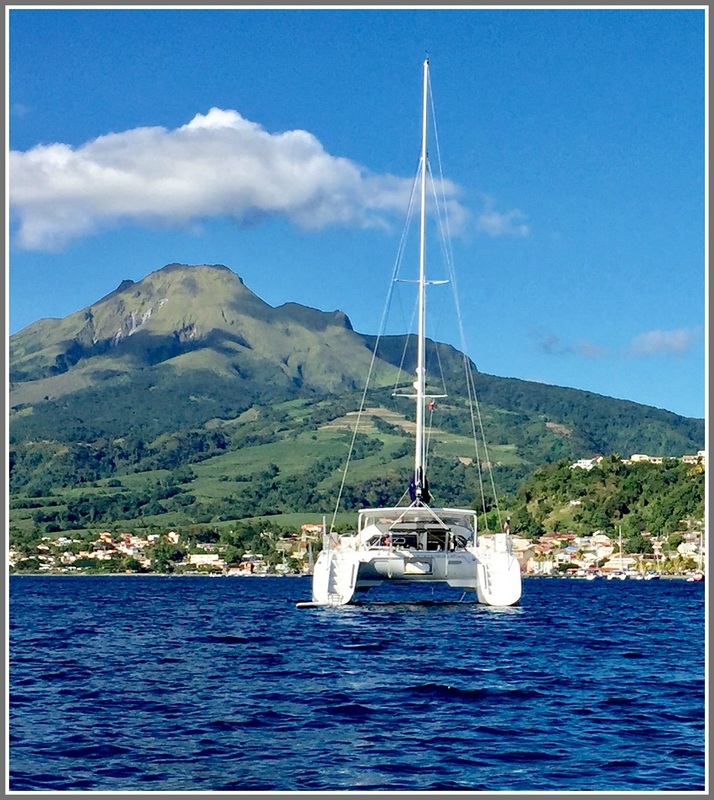 They put their journey on hold, and placed their newly acquired sailboat in a St. Lucia charter fleet. Mark and Tanya LaClair’s Pack ‘N’ Play. That family now includes Tessa (age 12) and Bode (8). They’ve spent most of the last few summers exploring Block Island, Martha’s Vineyard, Nantucket and Cape Cod. Mark and Tanya still fantasize about taking a year or two to explore the world. First though, they want to see how they feel after a few months of Caribbean cruising. Which is how the family headed south from Westport during Christmas vacation They’ll be gone through February break. Already they’ve visited Tortola, St. John, St. Bart’s, Saba, Nevis, Guadeloupe, Îsle de Saints, Martinique and St. Lucia. 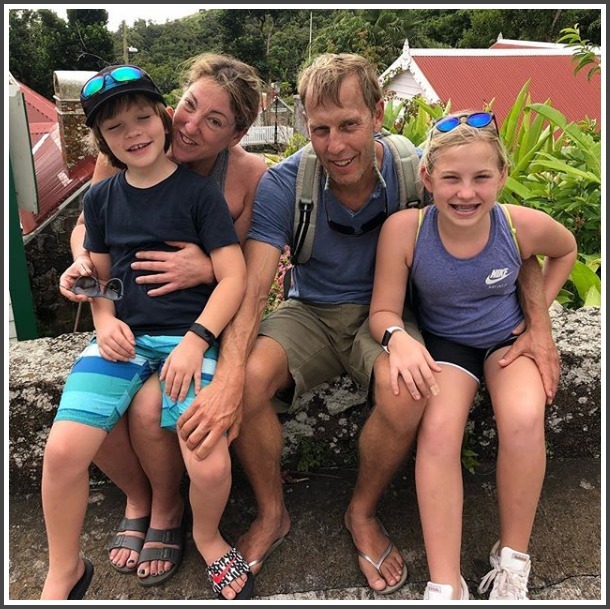 Bode, Tanya, Mark and Tessa LaClair. The adventure involves sailing, exploring — and home schooling. That latter piece is a challenge — and an excellent experience. Most days go smoothly. “The amazing people the kids meet, and the places they’re learning about, has been a great education,” Mark says. 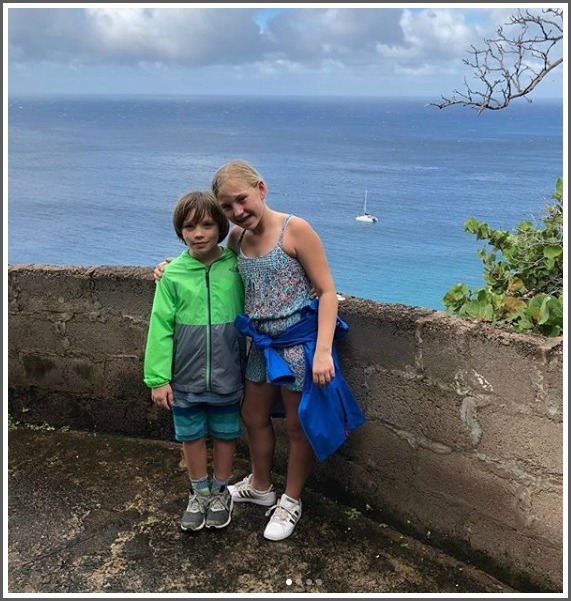 Having the children read about each island they visit, then write about and post what they learned on Instagram, is also part of their schooling. (You can follow them: Packnplay4). But, the parents agree, teaching their own kids is not easy. If they do another trip longer than 2 months, they’ll recruit a teacher as crew to come along. After studying a destination — including its history, geography and more — the family plans their day. Sometimes they visit museums or ruins. 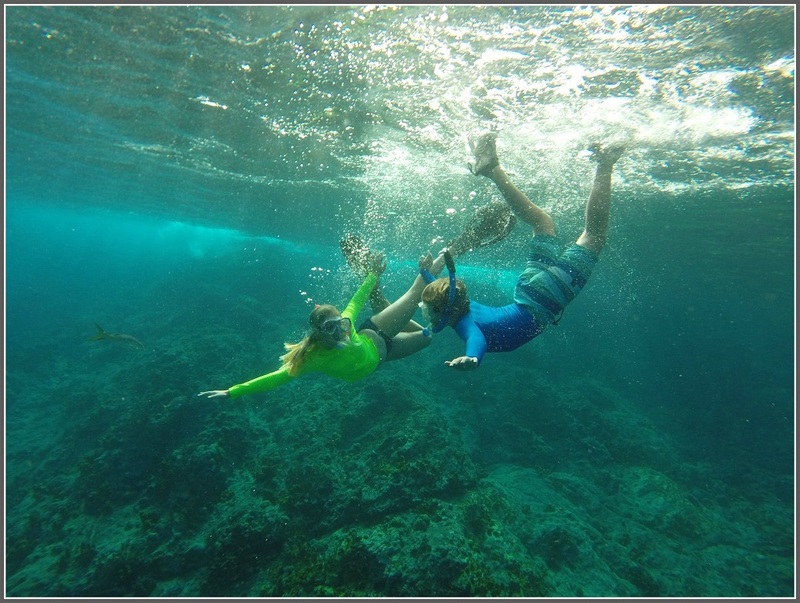 They use their dinghy and paddle boards to search for secluded snorkeling spots. They hike to rainforests and waterfalls, and trek a few miles into town for provisions from local markets (plus a taste of local restaurants). But Mark and Tanya most enjoy the time with their kids. They connect as a family — and disconnect from electronics. That’s how magical moments occur. One day, as they all sat on the bow on a passage from Guadeloupe, they sighted their first whale. It was just 20 yards away. Tessa and Bode say they like meeting new people and seeing new places. They do miss their friends and teachers. Meanwhile, the adventures continue. In Saba, they were the only cruising boat. The winds blew more than 30 knots, for 3 days. At night, winds screeched through the rigging while Pack ‘N’ Play rose up and down in a 16-foot swell. But reaching the beach — then climbing the 800-step “ladder” hand-carved into rocks, so they could hike into town — was absolutely worth it. Bode and Tessa on top of the Saba “ladder.” The LaClairs’ catamaran is moored in the distance. Tessa and Bode’s independence has “blossomed” since Christmas, Mark says. And they’ve taken over some responsibilities, like driving the dinghy, setting and hauling the anchor, and beginning to understand navigation. “Hopefully, they’re getting an understanding of how a lot of people live and survive in different regions,” Mark adds. In Martinique and Guadeloupe, the family stayed in fishing villages. They saw men running nets at first light 50 feet from the boat, fishing for their day’s pay; then pulling traps, prepping and selling their catch. Local fish, fruit and vegetable markets have helped the youngsters gain a feel for an island, and its residents. It’s not a bit like Westport. But Tessa and Bode will be back after February break. Their teachers better plan extra time for Show and Tell.